We are officially back home, and though jet lagged and fighting off colds, we are so ready to jump back into work. Knowing we only have about four months before our life is about to change has us in high gear to finish up some big changes we have spent the last few months concepting. 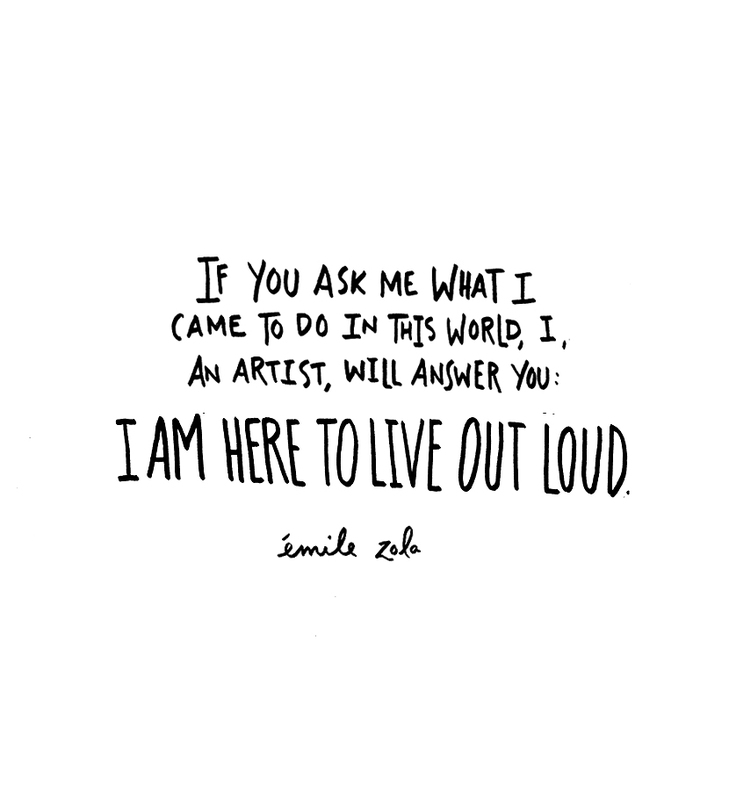 Thus, why I needed this reminder this morning to just live out loud as my creative self. Beginning new chapters can be daunting, and little voices can creep in, but remembering that as a creative you know best and to live into that mentality of living out what you love is what you are meant to do, really gets me excited for the week ahead. I hope you start the week off well, and you find as many ways to live out loud as possible. Glad you arrived home safely, and i cant wait to see more photos from your trip! Hope you both feel better and back to yourselves soon.